Maddie has been worrying about her future. Her parent’s financial struggles have put a lot of stress on the family, and she’s worried she won’t be able to win a scholarship to pay for school. But Maddie’s whole world is about to change. On her 18th birthday, after her friends abandon her, she is goaded by a convenience store sales clerk into buying a lottery ticket. A few days later she discovers that she has won $50 million! That kind of money can solve a lot of problems. No longer worried about paying for college or losing the family home, Maddie’s future looks bright. But $50 million also brings a lot of attention, and it gets hard to know who to trust. While struggling to balance everything, Maddie is reluctant to divulge her lottery win to Seth, her friend from work who somehow hasn’t heard. Though, you will likely have to suspend your disbelief through a lot of this book it is a quick, light read with a sweet storyline. 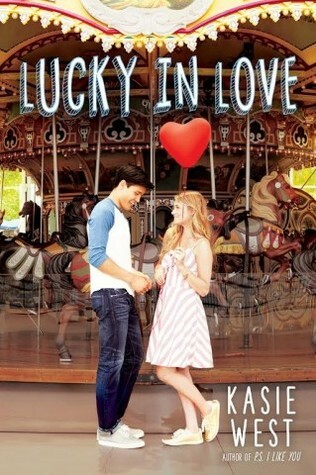 Kasie West never fails to deliver enjoyable clean, light YA romances.